It might sound odd, but the only way to succeed in marketing for note investing is to be willing to fail. You’re not going to be an expert at it right off the bat. You’re just not. No matter how many exit strategies you have, things can still go wrong and that’s okay. What did you learn from it? 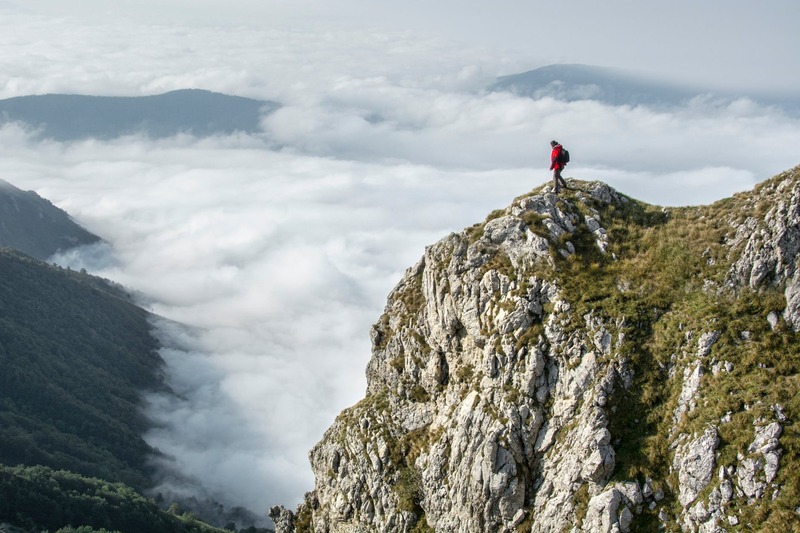 How can those insights be used to give you an edge next time? Learn how to pick yourself up and move on. 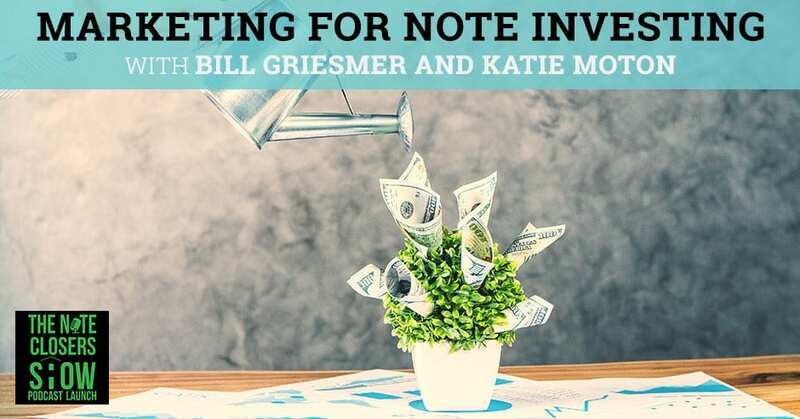 Guest hosts weigh the pros and cons of marketing for note investing in a discussion with Bill Griesmer of Stonegate Capital and Katie Moton of Coletta’s Street Capital. Bill Griesmer is the Managing Member of Stonegate Capital, which buys and sells performing and distressed notes. His company invests in many markets, focusing on the Midwest states. Bill is also a physical therapist, and is deeply involved in the charity Pelotonia – raising around $40,000 to end cancer. Katie Moton together with Colletta’s Street Capital has invested in several notes. They are now co-managers of the fund, boasting almost $2 million in properties. 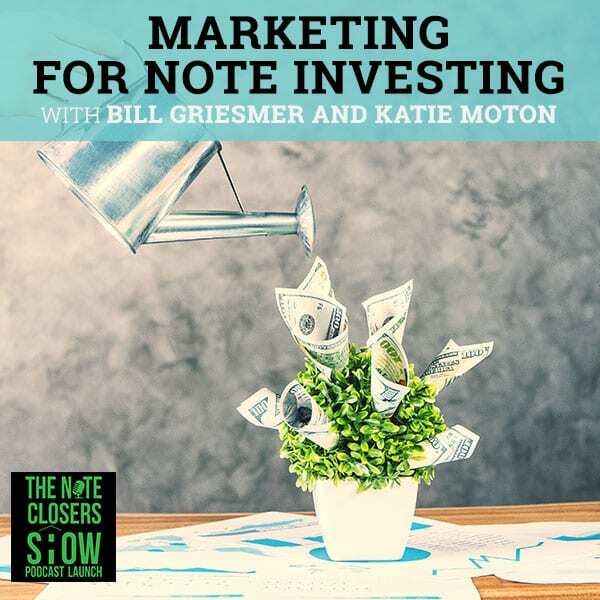 This is Bill Griesmer of Stonegate Capital filling in as guest host for you for the Note Closers Show Podcast. It is my pleasure to cohost with Katie Moton of Colletta Street Capital. We’ve prepared a nice presentation for you about marketing. First off, a little information from both of us. Katie, you want to go first and tell them a little bit about what you’ve been up to with marketing and why we’re speaking about this? We’ve been in note world for about a year and marketing is my passion within the note world. I love doing all the other things but it all starts with marketing. Marketing to get your notes and marketing to get investors. Depending on what you’re marketing for, you have to market, you have to sell yourself. It’s such a big part of the note world is the marketing aspect of it. Both Bill and I, have had great success in our marketing and we both market completely differently. Not completely differently, but we use different tactics. We thought that it would be a great chance for us to share some of our ideas with you. The last two Masterminds we’ve been to, Bill and I both have gotten the top five for the marketing competition, that’s exciting for both of us. We’re seeing results too. I’ve been doing the intense marketing more, probably for about nine months and I’m starting to see the results of that marketing. It does take a while but big results coming out. We do buy nonperforming notes, first liens on Colletta Street. Our goal is to always keep the borrower in win-win situations and win for investors, win for us, win for the tenants, the borrowers and everything. That’s a little bit about Colletta. We’re moving along and chugging. We’ve joined forces with some other note investors and created a fund where we help manage that fund about $2 million worth of assets in that fund. We’re helping manage that. That’s what Colletta Street is doing now. Our company, Stonegate Capital, we’re similar. We’ve been doing more in the nonperforming note realm. We also do some investing and offer investments with regards to performing notes and partials as well. We try to listen to investors and try to see their situation and their goals and their comfort level with things. That’s really important. Marketing is important for any business. With the success that we’ve had in marketing, then Katie and I came up with this list and we’re going to get to that now. We will be giving this list away in a nice handout format. If you are interested in this, all you have to do is private message either myself or Katie. We will be happy to send this out to you. These are the Top 10 Be’s that you want to do with your marketing. The first thing would be ‘Be consistent’. There’s a sign that I saw at the Magnify Your Wealth Conference. It said, “Consistent beats quality.” I have found that to be the case. However, consistent and quality, that’s even a better combination. Katie, you’ve done a lot of good stuff with regards to time blocking in your 30-day schedule you could talk about. Marketing For Note Investing: Consistent beats quality. However, consistent and quality, that’s even a better combination. I know Scott Carson put out a spreadsheet thing where you put all your different marketing that you want to do on the top and then you figure out when you’re going to do it. I keep mine right on my desk with a clipboard right next to my desk and I decided the things that we’re going to do and what days we’re going to do them on. Are we going to do them on a Monday? Are we going to send out emails on a Monday? Are we going to make the video on a Friday? Very specifically, what we’re going to do and when we’re going to send it out. How many times are we going to post to Instagram? How many times are we going to post to Facebook? How many times are we going to call banks? We have that list in there also. What days and very specific what you’re going to do. Are you going to write thank you notes to people? Live events. I kept a lot of the stuff that Scott had on here, but I took some of the ones off that I didn’t have time in my schedule to do or we weren’t going to do. From there, we decide what days and so I highlight the days that I’m going to do it. From there, when I actually do it, I check it off. You have a visual, “I didn’t do that,” or “That day is not working out for me.” It holds you extremely accountable to what you’re doing and how you’re doing it. I don’t have to do that as much anymore because it’s ingrained in what I do every day. I’m like, “It’s Monday. I have to do.” The last time I did it was in February because I did it for five or six months straight, I knew every day what I had to do. It keeps you consistent because there are many other things going on in our lives. I love check off list, because I feel good when I checked something off. It feels good to check something off. It’s very visual. Before each and every pilot in the country takes off, they have to go through a checklist. If it’s good enough to keep planes full of people up safely in the air and get them where they got to go, it’s good enough for the note investing business, certainly. That’s a lot of good information about the 30-day schedule there. In terms of consistency, a good idea to have a system for follow-up with whatever it is you’re doing. If someone, for example, writes a comment on a post you made or an email that you sent out or whatever, it’s important to have a system for follow-up. You don’t want to drop the ball with someone especially if you’re just meeting them and starting to set up a relationship with them. You want to respond to comments on posts. That’s another way to get your name out there and get some attention for what it is you’re trying to do. Another thing that Katie and I talked about is even trying to make it easy for people to find you and work with you. When I was at the conference, I was amazed how many people did not have business cards with them. It doesn’t have to be anything fancy. I got mine made at Staples. It’s a good idea to have your picture on there. It’s not the end of the world, especially with technology these days. You just meet someone and you gave him a 30 or 60-second elevator pitch and then you spend the next two minutes down fumbling with your phone and trying to figure out how to get the tech to work to send them the electronic business card and such. That’s valuable time that you could try to spend to try to create a memorable and a favorable impression with that person. You get to the after whatever conference or whatever meet up or whatever you do. You’re at the airport waiting to get on your plane. You’re there forever, it feels like. What I do as soon as I get to the airport, I take my stack of however many business cards I have and I enter their phone numbers into my phone immediately. I send every single one of them a text saying, “It was great meeting you.” I try to pick out something personal we talked about. It doesn’t even have to be about the note world. It could be like, “Bill, it was great meeting you this weekend. Good luck this weekend on the Spartan Mud Race.” It’s something you talked to them about. When they get your text they’ll be like, “That’s Katie Moton,” and hopefully they’ll save my contact information. Every time we text back and forth, they now have my information, I have theirs, they don’t have to go searching, they don’t have to enter it. If they’re like, “Who is this person again?” they’re going to see my first original texts that said, “It was great talking to you or great meeting you in Cape Coral. Great meeting you at the Distressed Mortgage Expo.” It brings it to another personal level because a lot of people don’t do that. When you actually do need their help or you have a question, it’s much easier to do that. After the last Cape Coral, Howard gave his card to Chris. I took Chris’ card and I didn’t get a chance to send him a text. I was asking him a question a couple of weeks ago and I thought I’d already sent my text that says, “This is Katie,” and I hadn’t. He is like, “Who is this?” I was like, “It’s Katie Moton.” I had to back check because he had given Chris the card and not me so I didn’t have it in my phone and apparently, he didn’t have it in his phone. We do a lot of that same stuff and this is exactly what we’re talking about when we talked about having a system for follow ups, really good stuff there. Our email addresses are Katie@CollettaStreet.com and Bill’s which is WJGriesmer@Gmail.com. Send us your email, if you want all this written down. We’ve got a handout for the asking. Ask and you shall receive. Number two is making your marketing realistic. Marketing For Note Investing: Be realistic with what you can do and what you have time to do and what you’re willing to do too. What we mean by that is it’s a good idea to market on different platforms and different mediums but, and this is a big but, don’t overwhelm yourself. A lot of people think that, “I have to put it here. I have to put it here.” If you’re just starting out with marketing, pick one thing to do and do it really well and consistently for a whole month and then add something else in. Be realistic with your time. It shouldn’t take you all day to do marketing. It should be a part of your day with marketing. There are many other things to do in the note world. That’s a big thing. Be realistic with what you can do and what you have time to do, and what you’re willing to do too. It’s easy to have these world-beating goals and that is good to a point. That’s part of a smart goal that is making it realistic. Moving on to number three here, Be Visual. Keeping your marketing always be visual. It’s always a good idea to keep things visual. One good way to do that is to attach your logo, your picture or both. That’s part of branding yourself. Attach it to everything. Your emails you send, your logo should be the first thing people see when they open up your email. I like it when I see a picture there. I usually scroll down to the bottom of the email first to be like, “Who is this again?” I look at the picture and I’m like, “Okay,” and then I’ll scroll back up and read it. If they don’t have a picture, half the time I won’t read it because I’m like, “I don’t remember you by your name.” It’s important to get a good, professional-looking picture. You can do that with smartphones nowadays. You don’t need to go pay someone big bucks to do it. Get a logo. I created our logo on Canva. Bill, you did something really cool of how you got your logo. We paid ours. I got mine through Fiverr and I don’t know if I premiered this yet, we did get a six-second opening where it’s video, lights, flashers, buzzers and sirens but it makes you look very professional. I haven’t done it yet because we’ve just been using Facebook Live. Yes, always be visual and it can be really intimidating to look at a great big wall of text. Many of us are busy and I know especially even for me, even though I love to read, if I see something complicated with a lot of writing, I’ll have to put that aside. I’ll say, “I’ll try to get to that later.” Even if I have the best of intentions, sometimes I do and sometimes I don’t. Being visual is very important. One really important way and one really helpful thing that you can use for that is to use Canva. Katie, I know you’ve used Canva for quite a bit. I use Canva for everything. I even use it for my kid’s invitations now, like birthday invitations. I use it for barbecue invitations. I use it for everything in my life now. It’s free. You can pay, I don’t know how much it is if you pay. I do want to look into paying it because you can create one square for Instagram and then if you pay you can just click it and it will change the dimensions for you without you having to go create a whole new one. I don’t know what else the paying does. You do pay for some of the pictures but I always bring my own pictures so I never have to pay for Canva, which is really nice too. You can use Canva to go into Instagram, onto Facebook, into your emails, into anything. I even use it for my presentations, for my slideshows when I do my videos. I make them all in Canva first in the presentation mode, and then I drop them into my Google Drive presentation slide show that I’m doing. You all get a lot of emails daily from note investors. Some, paragraph after paragraph, there’s no bold text, there are no bold titles. Break it down for people. Give bold titles and then give a few sentences, a bold title, a few sentences, put some pictures in between. Think of it more as a newsletter versus a long email. First of all, if you don’t have a picture, I’m not going to read it, unless I know you. If it’s from Bill, I’m going to read it because I like Bill and I know Bill, I have a relationship with Bill so I’m going to read it. For some of you, we don’t have that relationship and if I don’t know you, I’m not going to read it. Adam Adams, I don’t know if you guys get his newsletter, but I love them because he has two columns. It’s short and sweet and lots of visuals and he gives a little blurb, a title or a picture, a little title and a little blurb. It’s like, “This is what we’re doing, this is upcoming, this is what we did,” and it’s very to the point. That’s what I mimicked our email after was the two columns they use. If you get our emails, you see it’s two columns and literally it’s lots of pictures with a little bit of writing. Keep it short. People don’t have time to read that much. You want people engaged in your emails. Even just using bullet points as compared to just regular text. That’s a way to break it up and make it a little bit more visually interesting. Using interesting images instead of always just the simple headshot, occasionally throw in some other images, that type of thing. Moving along here, our next one, number four, would be, “Be focused.” What we mean by that is you want to know your audience and know exactly what you’re after. Are you trying to attract sellers? Are you trying to market to note sellers? 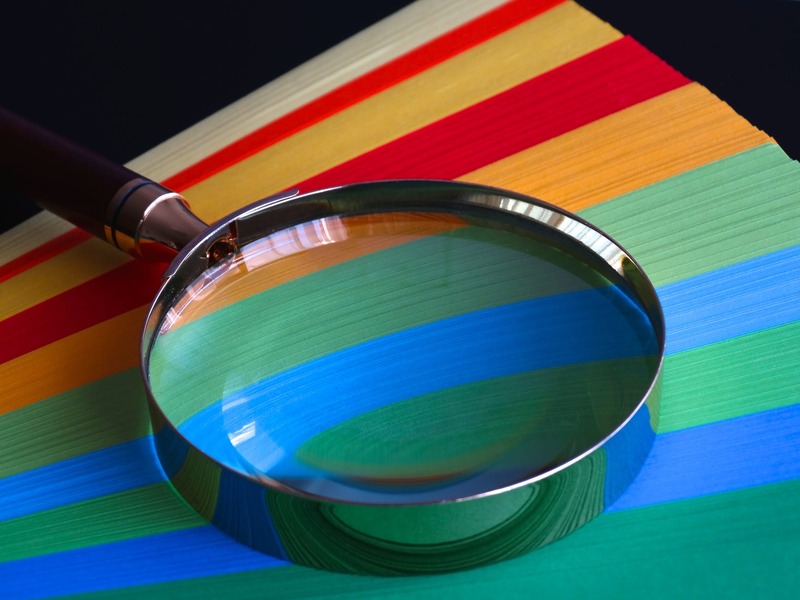 Are you trying to market to note buyers? Are you trying to market to note passive investors? Each of those three things is potentially a different audience. Keep in mind what you’re trying to do and what it is you’re selling. When you’re posting things, you don’t want to post the same thing to every single social media. They all have different purposes. Make sure you understand the purpose of the social media that you’re going to be attaching your image to or your article to or however you’re marketing. Anything that I put on Instagram, I’m not attaching that to my LinkedIn page because that’s more of a professional page versus Instagram where it’s about pictures and it’s about images. It’s very different what I post on those aspects. I don’t tweet. I don’tunderstand tweeting so I have stayed away from that. I’m stuck with the things that I understand a little bit more. Know your audience and know what’s appropriate to be posting in different places. The funny thing about tweeting, my wife would laugh to be hearing this because I have railed on about Twitter for years. I did not even have a Twitter account until I won Scott’s social media contest. I opened my Twitter account a month before that. I’m still not a big-time tweeter but tweeting is supposed to be very light. It’s a limit of 140 characters, I believe. It’s a different medium than the other ones that she’s talking about. There’s a place for both using a sawed-off shotgun and then also a sniper rifle. What we mean by that is there are times when you want everybody to be exposed to something, but then there are also times it’s much more effective, especially if you’re paying for each lead, for example. You want to be very precise with who it is you’re targeting. There is a place for both and it partly depends again on what it is you’re trying to do. 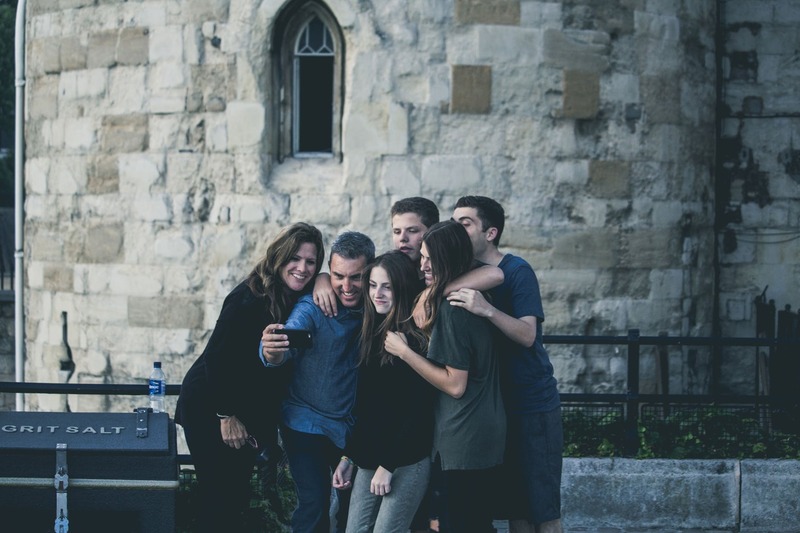 Marketing For Note Investing: Being you allows other people to connect on a different level besides note investing. Moving onto the next one here, that would be, ‘Be you’. This is arguably the most important one I thought actually, the more I really thought about this. Every single person in this whole darn world is unique, everybody. Don’t shy away from this. Figure out what is your story? It’s different for everybody. Look at your story and use it and your brand is everything about you. Katie, both you and I we’re physically active. We exercise a lot. We both have big physical challenges coming up this weekend with big marathon runs. I’ve got a Spartan Mud Run this weekend. The point is, everything you do defines your brand. We used Chris being deployed. A lot of people knew that and they felt a connection with us. Being you, but also using your story to have people connect with you. When Bill and I first met, he saw that I did Crossfit. He’s like, “I do a similar type of process.” We had that connection instantly as friends, being able to have that connection. Being you allows other people to connect on a different level besides note investing. You want people to connect to you as friends and have that extra interest. Also use your life, use what’s happening in your life to get people interested in wanting to invest with you and be with you. A lot of people have been in real estate for forever. The fact that I stopped teaching and went to Fast Track and now I’m a note investor is a big deal. 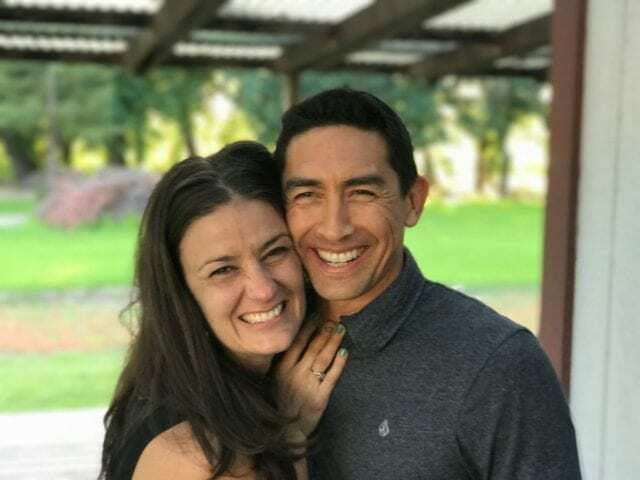 I’ve been getting lots of emails from people saying, “My wife wants to do the same thing.” It makes connections with people, the things that are happening in your life, just being you really gets people to want to connect with you. The point is also to draw inspiration and ideas from others, but don’t copy them. I don’t try to be Katie. Katie doesn’t try to be me. Even Scott as well as Katie and I both think of him, I don’t even try to be Scott. I have my own strengths. A lot of people don’t realize my first degree was in Journalism. I’m a good writer and speaker so I now write a monthly column on note investing for Think Realty magazine. If you don’t have it, it’s a good magazine. It’s specifically for and by, in many cases, real estate investors. Use your strengths. Other note investors have a strong business background. They’re really good with the deal, the numbers and that type of thing. They might be better at some things than I am, but again, be you and know your strengths. My teaching background helps in a sense, even presenting, talking in front of people. I spent the last fifteen years talking in front of students, making presentations, creating lesson plans. Taking the end goal in mind and working backwards of what you want to do. Coming up with creative ways to present things and visually what grabs people’s attention. I take what my training is, which is teaching and I use that in the note business and in our marketing to bring it forward. I do not think I’m a good writer, which is why also my emails are very short, because that’s not where I’m gifted is in the pen. I still need to write, of course, but that’s not my big focus. Bill is a very gifted writer and so that is his focus. I would not try to go write a magazine article on it or start blogging on note investing because that’s not where my strengths lie. Take where your strengths lie and use them. For example, I loved Adam Adam’s email but take what you like about it and then make it yours. I didn’t copy his exact email, but the idea that came out of the email is what I used to make our email. In terms of strengths also, you’d be amazed how far your strengths can take you. I’ve been asked now and I’ve got several speaking engagements planned over the next couple of months. I’m going to be speaking as part of the Columbus REIA and COREE with Vena Jones-Cox. I’m going to be on her radio show and then I will be speaking in Cincinnati. I’m even starting to spread out beyond my local market here. I will be speaking at a notes conference in Ohio done through COREE. Scott Carson will be there. It’s just a matter of using your strengths. The other thing is be personal. When I say be you, be personal, that’s part of that and really connect with people. There’s still a tremendous amount to be said for being able and willing to go up and introduce yourself to someone, giving them a handshake, look at him in your eye and say, “Hi, I’m Bill Griesmer. My company is Stonegate Capital and we buy and sell notes and we try to keep people in their homes,” and going into your whole elevator pitch. There’s a tremendous amount to be said for being personal and being you and being really able to connect with other people. The personal part of it is getting to know people outside of the note world, outside of their note business. Building those relationships and getting to know each other helps you further along in the business than just going up to someone and being like, “Hi, I’m Katie. I buy notes. Do you have something to sell?” People get that all the time. If you’re like, “Hi, how are you?” and have a conversation, “Where are you from?” Just get to know the person. That relationship will help you so much further. I’ve been calling and emailing friends of the note world because of the friendships and the relationships that we have built and now they’re helping me in the future instead of just at that moment. It’s important to be yourself but be personable and get to know people beyond the notes. Get to know people beyond the notes so that later on in life they’re another resource for you to have. Marketing For Note Investing: Get to know people beyond the notes so that later on in life they’re another resource for you to have. Moving onto the next one, number six, you want to be creative. Be creative, be imaginatively, be wildly interesting and be memorable. You want to always be thinking of this. What hits you? How can you give information in a different way? How can you put a different twist on it? I’m amazed to have the positive response for the last Note CAMP. I did maybe a minute and a half, the Note CAMP Zone. A takeoff of the Twilight Zone and I’ve been thinking of that roughly for about a year but I made that start to finish in about four to five hours and it was memorable. People liked it. It hit home with a lot of people and it was creative and entertaining. I went on the Financial Friends Network Cruise and Scott Carson was there. It was cool to watch him and his marketing because we would be walking on a pier and he’d like, “I got an idea for marketing,” and he would say it. I’m like, “That’s right.” Just seeing how his brain clicks with everything he sees and he’s a creature of habit. It was so cool to watch his brain take random things that we were doing and turn it into them and put a marketing spin on it. I saw him use it on Facebook and he used it as a marketing scheme. Take what’s going on around you and the things that you’re in. You’re at the lake, you’re at the beach, you’re swimming with your family. Use those things. Take a cool picture and use it to market. How does that connect with investing? I do it a little differently. I use the national holidays and when I go through them I figure out which ones connect with investing or how can I tie investing and whatever this random holiday. Say it was Paperclip Day. How do paperclips do with investing? I play with it in my mind and I look it up on Google and try to find things that connect paperclip and investing. Think about creative and unique ways to tie investing to whatever you’re doing or making good decisions or making profits. I remember you were at the Magnify Your Wealth and it was Be A Millionaire Day. I was like, “Bill, you’re at the Magnify Your Wealth,” and I was like, “Sunday is Be A Millionaire,” I was like, “Connect the two. Go, Bill.” He was like, “Okay.” It was fun to take what you’re doing, take other things and create that connection that ties them together. That’s what marketing is. Take whatever you’re doing in your day-to-day life. Doing dishes, figure out how doing dishes can relate to investing. There are many different ways to be creative, be interesting and make that connection. If you haven’t seen Bill’s video, it’s on his YouTube page, the Note CAMP Zone. Katie, we’re going to heavy bonus one for them. I believe we’re on number seven here. We talked about a lot of stuff so far. We’re going to get back to ‘Be analyzing’. Look at your numbers with your marketing, especially with the technology and a lot of the digital things that are used now. Look at your numbers. Pay attention to things like what is getting opened? What does not get opened? What draws people? What does not draw people? What days does it get opened? What times does it get opened? You can start to play on things to try to pay attention to that. What are people commenting on? What do people like? When you sent out in MailChimp, you high five. If you set it up, it’s like “Rock on.” I sit there after I send out an email and I refresh. I sit there and watch the first five or six people opening it and I see who unsubscribes. I don’t sit there and do this for hours but I’ll sit there for the first five or ten minutes and do it and see what links they’re clicking on. I added a preferred investor tab onto all my emails and you can click on that and fill out your information you go into a different list in my MailChimp. You can see how many people are clicking on that. What emails are getting people’s attention to want to click on that and to become part of my preferred investor list? Chris and I sat down a few days ago because our preferred investor list went up by ten people. Why did it go up? What happened? We’ve actually been backing off on asking people to be on it. I’ve taken off my videos, I haven’t been promoting it, and we still had ten people within the last week. We went back to see what was going on and what days? What were the titles of the emails? Who was opening it? A big one was the Note CAMP 5. I sent an email out. I figured out how to get everybody’s email prior to it and I sent an email out saying, “This is Katie Moton, this is what we do.” Between that email and the end of Note CAMP 5, we got six or seven people who opted into that list just off that. I didn’t present on Note CAMP 5 but people had that option. Understanding what titles get people’s attention. I remember when I was first doing it, I was calling my emails newsletter one, newsletter two. Scott Carson was like, “Change the name.” Now, I always try to have what is the whole theme of that email? Some people do some really good jobs at getting some catchy titles on there and making sure that you grab hold of those people. Really analyzing what you’re looking at and what they’re interested in and when are people opening your emails and when are they not opening them? The whole point is to focus on what works. Do more of what works and do less of what doesn’t work. Moving on here to number eight, we have be modern and be current. Try to use current technology. We’ve already talked some about Canva, Animoto, that’s a whole another website that’s free, I believe. You can make a short video movie collage. Pay attention, what is happening right now in the world you can tie into. The one thing that I was thinking about, it all depends on what it is you’re after, what your marketing is and what your avatar is that we talked about. In general, I’d probably recommend you stay away from politics and religion. We live in a very polarized time and if you put on something political, it could be liked by about half the population, but about half the population is not going to like it. Some people might like that if that’s their brand but be aware that you’re doing that. I like to share my screen and it took a long time to find something that allowed me to share my screen to do my videos. I’m not a big Facebook Live person even though we’re doing it right now, on my own. Soapbox is a great program and it’s about $120 a year or so. It’s half screen, so it’s half and half. It allows you to do a presentation mode. Also, Movavi, that’s what I use most of the time and you can edit it really easily. There are a lot of programs. A program that allows you to set it and forget it. I use Hootsuite, but there are a lot of other ones out there that you can use to create your marketing and then put it up there and go. You don’t have to sit every day and attach that video. We’re in a world of technology, use it. Don’t allow it to take over your lives and figure out what you can use and what you can’t use, and what you can manage and what you can’t. Technology and using the technology allows you to also analyze, be analyzing. Hootsuite analyzes my Facebook page, it analyzes everything so realistically, I shouldn’t have to go to Facebook. I can just go to Hootsuite and I can manage all my posts from Hootsuite, and I can manage all my Instagram posts. Finding something that works for you and using it but be modern and be current with technology also is big. Moving on to number nine and that is ‘Be confident’. This is a very important one as well. You really want to be sure of yourself and what you present. You might even think of yourself, “What would an expert do in this situation? What would they say?” You want to fake it till you make it. A lot of you are new. Don’t come on and be like, “I’m new. I’m just learning.” Be like, “I’m new and I bring a lot to the table. This is what I bring to the table. I was a teacher beforehand and this is what I bring to the table. Even though I’m new at note investing, that doesn’t make me not smart, that doesn’t make me have no idea what I’m doing.” You want to make sure that you carry yourself and you talk positively and be successful. Pretend to be successful. Dress for success is what I always tell my students on testing days. I say dress for success because if you feel better about yourself, you’re going to act better and you’re going to perform better. Marketing For Note Investing: You’ve got to be willing to fail to succeed in anything. If you don’t do anything, that’s the surest way to fail. What Katie’s saying, I’m going to be crystal clear. I’m not telling anybody to lie. However, you want to focus on the end result. Focus on what you want to happen and focus on doing good work as compared to advertising your weakness at the same time. You don’t want to lie. Don’t go out saying, “I’ve made all these deals,” when you haven’t made deals. You can say, “I’m doing due diligence. I’ve got a tape and I’m doing due diligence.” Even though you didn’t win any of the bids, maybe you haven’t bought any of them. It doesn’t matter. You’ve got a tape so use that tape and use that as marketing that you’ve got a tape and that you’re learning and you’re doing it. Right along with this, “Be confident,” it might sound odd but I encourage everyone be willing to fail because it’s the only way to succeed. Wayne Gretzky said, “I know I missed every single shot that I didn’t take.” You’ve got to be willing to fail to succeed in anything. If you don’t do anything, that’s the surest way to fail. As you get started with this stuff, you’re not going to be an expert at it right off the bat. You’re just not. I looked at my very first video and it gave me the shudders. I was stiff and uptight, I had written out everything I wanted and I was doing much more reading than speaking. I don’t even claim to still be perfect at things, but I’ve improved quite a bit. That goes not only with marketing but note investing and a lot of life in general. People will give you credit for just doing things. That’s fine and you’re going to fail because in the note world, so many things can go wrong. So many things can go right but so many things can go wrong. No matter how many exit strategies you have, things go wrong and it’s okay. What did you learn from it? Pick yourself up and move on. We’re up to number ten here, Katie, but this one’s a recap of a lot of the other ones that we’ve already talked about quite a bit. Use your computerized resources, use your MailChimp, your Infusionsoft. Infusionsoft can automate some of those things we talked about. Katie talked a lot already about a Hootsuite. Buffer is a similar program. Katie talked about Canva and you can get things off of Google Images. Animoto, Movavi, Soapbox, those are video preparation things. Use each other too. Help each other out. For example, when I knew that it was Be A Millionaire Day and he was there at Magnify Your Wealth, I sent him a message to let him know to say, “Bill, use it.” Help each other out if you see something. Comment on each other’s marketing too. Share each other’s marketing. I was listening to this podcast the other day and they said that, “People don’t want to just hear about you, they want to know that you’re a community and they want to know other things.” Share each other. When somebody posts a good article, share it and give credit to them. If someone posts marketing, share it and give credit to them. I have one friend, Karla Stewart, a teaching friend, she shares every single post for my note. She’s so excited that I’m on a new adventure and she shares every single post I put on her. She’s my one sharer. Using your resources, sharing each other, encouraging each other. I love Donovan. Every email I sent out, he’d emailed back and say, “Awesome email, Katie. I love reading your emails,” and that was it. It was a quick response. The support, but using your resources as support, because if he’s helping me, I’m going to help him. If you’re going to share my stuff, I’m probably going to share your stuff. It’s using your resources and being smart about using your resources. Use each other to help with the marketing too and don’t get overwhelmed. Baby steps, people. The bonus round from Alec Baldwin, always be closing. Always think about what is your end goal and what does closing mean to you? That was one of my key takeaways I talked about from Magnify Your Wealth. I talked with Meghan Cole, who does the marketing for Laughlin. She showed me visually and that little light bulb went off above my head. All your efforts have to go into a funnel or toward a goal. It’s easy to get mixed up in, “I need to do this. I need to do that.” The whole goal is to make sure that all these things, they’re all going toward a common goal and have a plan and steps for how your marketing efforts will connect to your end goal. All of our end goal is to buy notes, make money and make our investors happy. There are a lot of those end goals, but marketing leads to that. If you’re not marketing, you’re going to have a hard time especially now with prices being so high, you’re going to have to market to find new sellers. You’re going to have to market to get good prices that they want to work with you. That you know what you’re doing and so they want to work with you. If you’re not marketing, it’s not going to help you towards other things. What are your three biggest bang for the buck items that you wanted to speak on? For me, Canva has changed my marketing world. I can do it fast. At first, I was very slow and it took a long time but now that I understand it and figured out how to works. I know what I’m doing in Canva and I can just play with it. I’d say give yourself a couple hours to play with Canva and have fun with it, but Canva has changed my marketing. It makes everything look professional. I even use it for my JV flyers and it looks professional. It changes everything and it makes it look I’m having a professional marketing designer do all my stuff and it’s me. I even designed our logo. I bought this one but I wanted it to look classier and stronger and so I took that image and I played with it in Canva and we have our new image. We started showing and it’s a little bit different. I took it and I made it look sharper and a little more distinguished, but I did it all in Canva, and you can do it in Canva too. Another thing is the email campaigns. At first, I was doing weekly emails for six months. In my email there was a video I attached, I did a weekly video and attached in that. Mine are the emails and videos together. In the last three months, I’ve gone to monthly ones because it was time-consuming for me to make those weekly emails because I did it with the video. If it was just doing an email, it’d be different, but I had the video attached to it and that’s important to have the video. That’s where I’m seeing the biggest response is through my emails because you can get so many people because you get email addresses from your LinkedIn. You can get them from so many different places and that’s a quick way to touch, the five different touches or whatever. That’s one important way. I know a lot of people say emails going out but that’s where we’re getting most of our responses and most of our buy in, most of our people who are opting into our investor list is through our emails, not through my webpage, but through my emails. Marketing For Note Investing: Be coachable. Do things that other people that know more about this recommend to you. The other one is Hootsuite, it saves me so much time. As a mother of two, I do the video and then I put it into Hootsuite and I have it send out the next day. I don’t have to sit down on Facebook waiting for my video to upload. If you have a link to an article that you want to share, type up your whatever you want to say about it, put the video, schedule it for later that day, schedule it for tomorrow, schedule it for whenever you want. If you’re going to go out of town, this is a great thing. I knew we were going to Cape Coral Mastermind, in Cape Coral the internet is horrible reception there. I knew I wasn’t going to be able to putting out my marketing. I had marketing setup every single day. The email is horrible there. I had my marketing setup ahead of time. It allowed for me to do that. Hootsuite, I think I paid but I don’t know how much it is, it’s a yearly subscription. I would say similarly but different. I really like video. Katie and I were talking and she even said, “Bill, you do that Facebook Live stuff and I just can’t do that.” I guess it gets into what all you want to do. Part of the reason I do it is because Kristie Whites of Serving Social recommended it. Be coachable. Do things that other people that know more about this recommend to you. Don’t be afraid to get yourself out there and don’t be afraid to speak and meet people. I started and we had our very first notes meetup here, through part of COREE, that’s run by Vena Jones-Cox. We had nineteen people there, our very first meeting. Everyone was very enthusiastic. Everyone was very grateful. I had a speaker drive in. There’s still a tremendous amount to be said in today’s world for meeting people and being able to look them in the eye and shake their hand. Lastly, I’ve become a big fan of having something in writing, having written materials. Not everybody can do this, but it does give you credibility. For me to be able to say, “Yes, I’m a magazine writer. I’m a monthly columnist for this national magazine.” I just did it a couple of days ago. I said, “I’ll send you a PDF of one of my articles as a gift.” That’s a good way to give yourself some credibility. Along those lines, Katie and I collected everything that we talked about into a nice handout. Send us a direct email or a private message if you’d like to get a copy of this. We did that because a lot of people are shy of putting their email box in the public forum there. If you’d this, we’d be happy to send you out a copy. Let’s recap really fast, Bill. Be consistent, be realistic, be visual, be focused, be you, be creative, be analyzing, be modern, be confident, be using your resources and always be closing. Katie, thank you for hosting with me. I hope you had fun. I know this was fun for me. 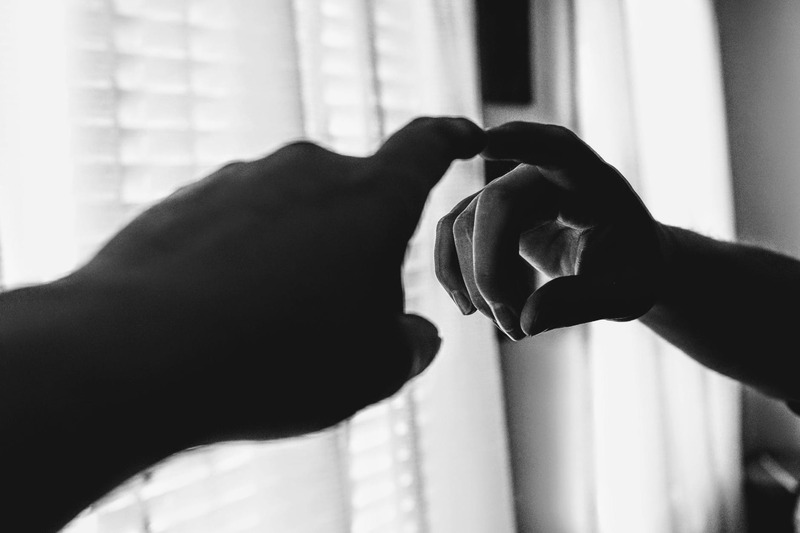 If you’re trying to hook up your Hootsuite or Canva, if you have any questions about any of that stuff, please reach out to one of us and ask us and we’ll give you a few minutes on the phone, email or whatever to help you and walk you through some of this stuff if you’re struggling with any of it. Some of it is daunting when we get it. We’re not the masters by any means, but we’re always willing to help. Reach out to us, connect with us. Bill Griesmer is the Managing Member of Stonegate Capital, which buys and sells performing and distressed notes. He may be reached at wjgriesmer@gmail.com. Colletta Street Capital LLC is a Nevada base real estate investment firm specializing in 1st Lien Non-Performing Notes on single family residential properties across the United States. Our strategy is to purchase mortgage debt from banks and other lenders and either negotiate with the home owner or borrower to take control the property or turn the note back into a performing loan. Our focus is to create a win-win for the borrowers, the banks, and our investors. We source assets from large and small banking institutions, hedge funds and private lenders. If you or your clients are trying to move NPNs before the end of the quarter we would love to talk! Thank you and have a great day! We have a variety of investment opportunities if you are looking to for investment or joint venture deals. Please contact us directly to find out more information and if you qualify to participate.